If you have an elderly relative who lives alone, or if you're a parent whose children are starting to go on their own adventures, you might find yourself in a world of worry. Sure, you can give them their own mobile phone to use in an emergency; but phones can easily get lost or forgotten by kids, while older people or those with dementia might find them tricky to operate. If only there was a way to know exactly where your loved one was all the time, without them having to do a thing. There is, and it's called the Lloyds Betterlife Personal GPS Tracker. 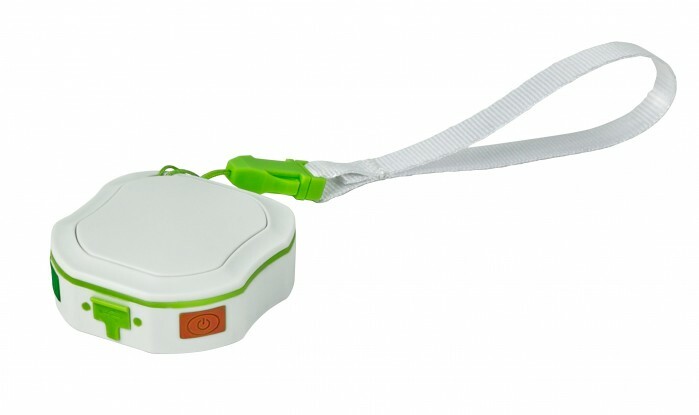 In a nutshell, the Lloyds Betterlife Personal GPS Tracker is a small device that can either be carried in a pocket or bag, or worn around the neck on the included lanyard. The carer or parent of the vulnerable person can then simply send the tracker a text from their phone and receive coordinates in return which pinpoints the tracker's location on Google Maps. Boom – you now know where they are. The great thing here is that the unit doesn't requite the wearer or carrier to do anything for you to know where they are; it simply receives a text message to the on-board SIM card (sold separately – most networks offer them for free) and then automatically replies with the GPS information. Furthermore, the Lloyds Betterlife Personal GPS Tracker is small, has rounded edges making it comfortable to wear, is water resistant, and doesn't weigh all that much. As well as being able to locate someone whenever you'd like to check they are where they should be, the Lloyds Betterlife Personal GPS Tracker also features an Alert Button on the underside, whereby the wearer can push it and send you their location. This acts like a panic button, informing you that they need help and telling you exactly where they are. If you have an elderly relative who sometimes forgets where they are, this gadget offers great peace of mind. Of course (and we're sorry to lower the tone a bit here) you could use it for other purposes. 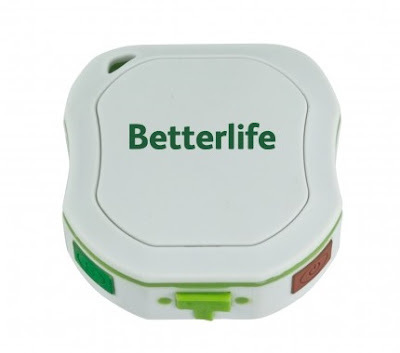 The Lloyds Betterlife Personal GPS Tracker is small enough to be hidden in a car or a bag without the other person realising it is there, and so could in fact be used for tracking and surveillance. Think your partner is having an affair and going somewhere different to where they said they would be? You could use this to discreetly track them. We're not saying you should, or that spying is what the Betterlife Tracker was designed for, but anything small that broadcasts a GPS location always has other uses. Never lose your dog – that's a nicer one. Or your drone. In use the Lloyds Betterlife Personal GPS Tracker worked exceptionally well, responding to our texts within about twenty seconds with a location that opened quickly in Google Maps. Obviously the accuracy of the coordinates depends entirely on the wearer's position, but we did most of our tests indoors and it nailed it to the correct house every time. Using it in the open made the pin-pointing even more exact, so if you're giving it to your kids while they go out to play (or the aforementioned dog or drone... or cheating spouse) you know you'll always be able to find them.